Our booking system calls them gift vouchers, but whether you are looking to buy an escape room gift card or escape room gift certificate or gift voucher, they're all the same and a gift of pre-paid escape room adventure is a great idea! Contact us with any questions. Our first Cleveland area escape room was opened in 2016, in N. Olmsted, and was one of the first escape rooms in the Cleveland area - which is why the name "Escape Room Cleveland". 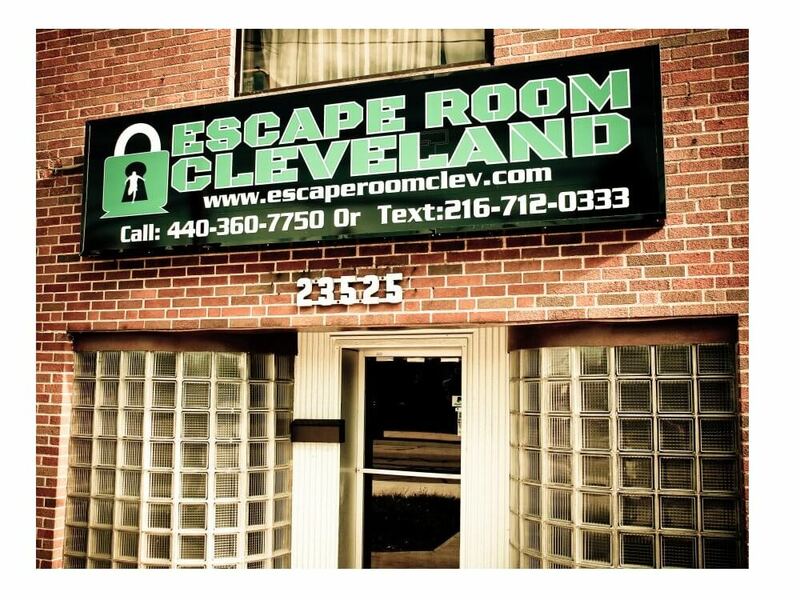 Located just minutes from the Cleveland airport, although this escape room is technically in North Olmsted, it is the closest location to Cleveland, and only 15 minutes from the city. Next door to Malley's ice cream parlor and close to hundreds of restaurants in North Olmsted, Westlake and Rocky River, this location is one of our most frequented with continuously updated escape rooms - with one under construction now! Call our location to learn more about each escape room experience offered at our Escape Room Cleveland location. Wondering which one of the exciting escape rooms to choose? Scroll through these actual pictures of our escape rooms and click on the room of interest to learn more about the game. Forgive us for not giving away too many details, but it's the mystery that makes the escape game so much fun!